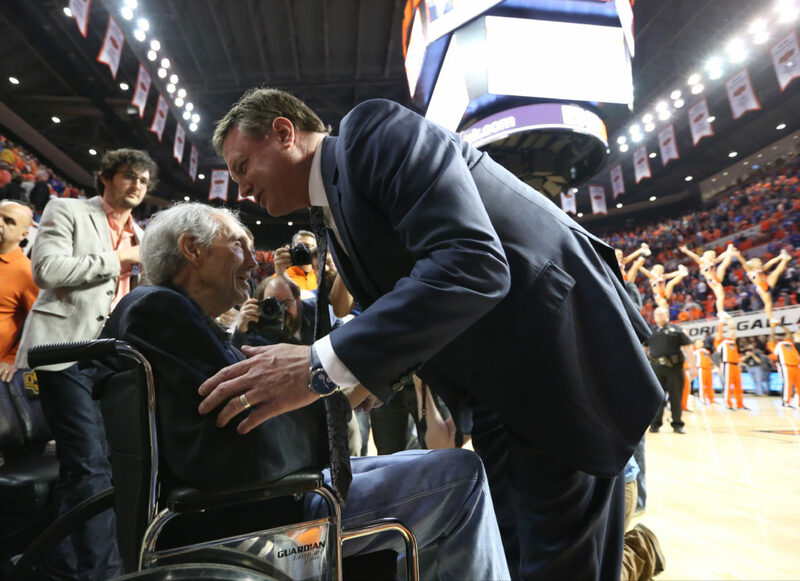 Kansas head coach Bill Self gives his well wishes to legendary Oklahoma State head coach Eddie Sutton following the Jayhawks' 90-85 win over the Cowboys, Saturday, March 4, 2017 at Gallagher-Iba Arena. 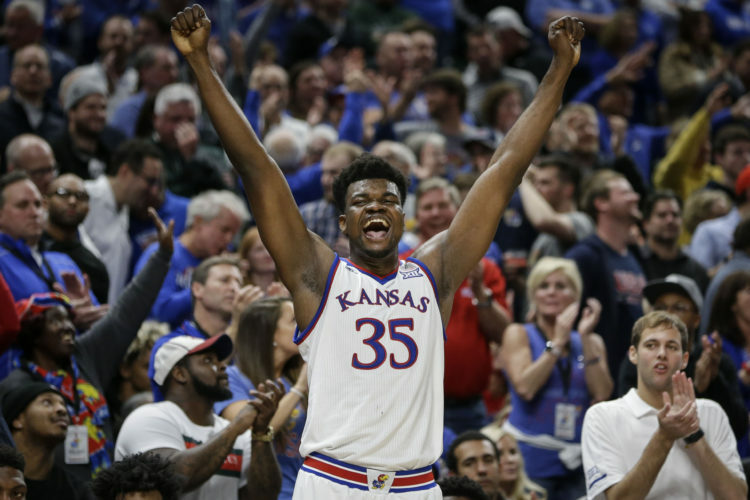 Perennial national powerhouse Kansas clinched its 14th consecutive Big 12 title last weekend, but that doesn’t mean there are no streaks at stake when the Jayhawks take the court Saturday for a 3 p.m. tipoff at Oklahoma State. 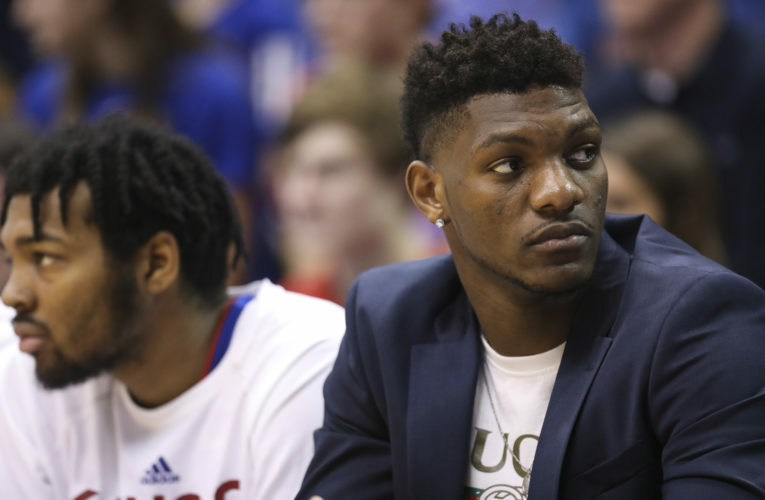 The game will be played on the one-month anniversary of KU’s 84-79 loss to the Cowboys, KU’s third and final Allen Fieldhouse setback of the season. That outcome puts two mindblowing Bill Self streaks on the line inside Gallagher-Iba Arena. At KU, coach Self has completed 101 consecutive regular-season, home-and-home series without getting swept. He has 69 sweeps and 32 splits to his name. For those of us on the outside looking in, that adds drama to a game that won’t impact Kansas in the Big 12 standings. Self laughed off any notion that it will fuel his players. 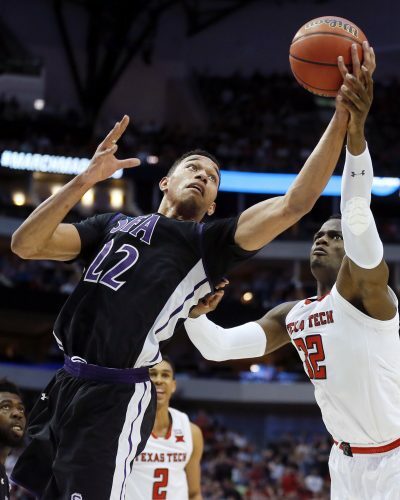 Self’s perfect record in regular-season Big 12 payback games also is in play. When Self loses the first game to a Big 12 opponent, he’s 18-0 in the revenge game, the most recent coming in Lubbock. A number of conclusions can be drawn from that streak. 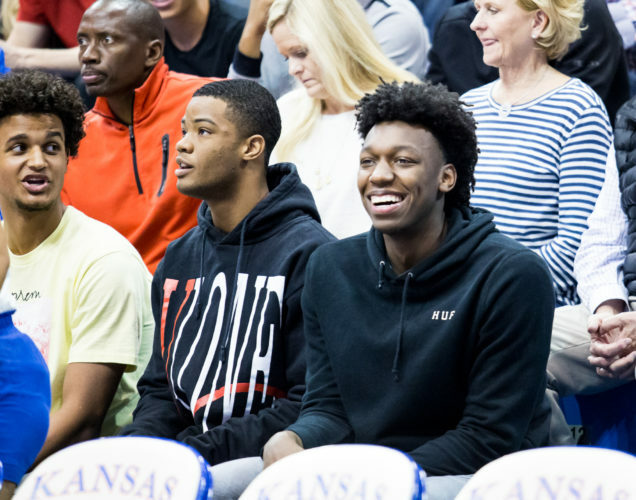 For one, 15 of the losses came on the road, so the payback game was in Allen Fieldhouse. But it says far more than that. 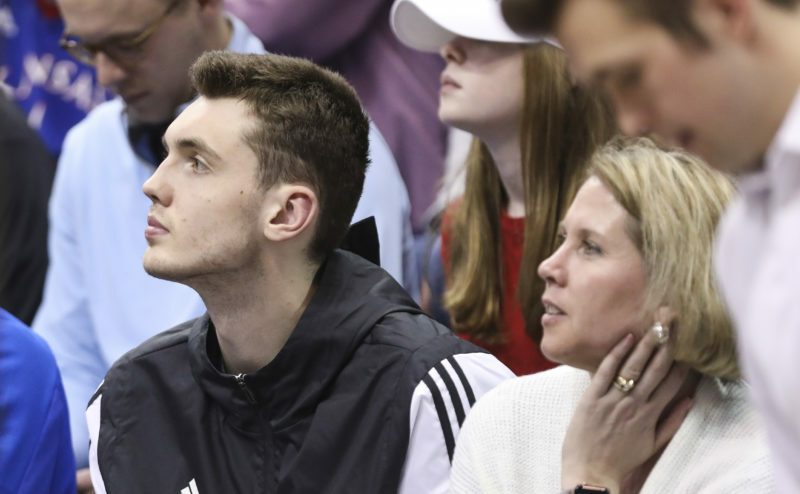 It speaks to the ability of Self and his staff to shore up whatever weaknesses caused the loss and to the ability of the staff to make players — and in turn, the team — better as the season progresses. It also suggests the emotions involved in seeking vengeance are tapped to the right degree. Tracking two factors that led to the Cowboys’ victory in Lawrence will make for interesting viewing in the rematch. Oklahoma State had 13 offensive rebounds in the first half and KU had just 10 defensive rebounds (two on missed free throws). 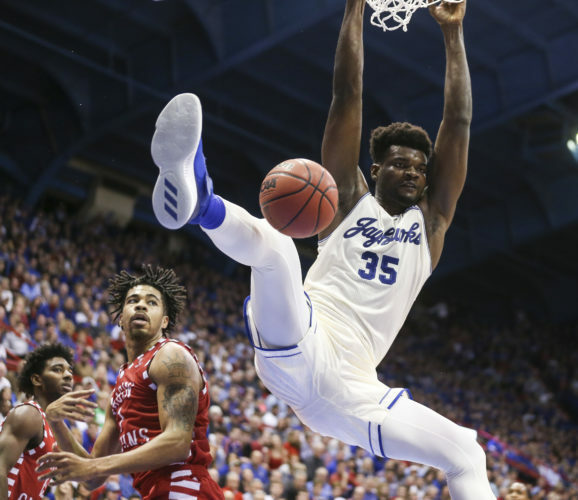 The second biggest factor came in KU’s inability to cool down senior guard Kendall Smith, who had little trouble getting to the hoop, made 2 of 3 3-pointers and finished with 24 points. A graduate transfer who spent the first two years of his college career at UNLV, the next two at Cal State Northridge, Smith is averaging 13.5 points per game in Big 12 action. Is he a streak-killer? We’ll see.